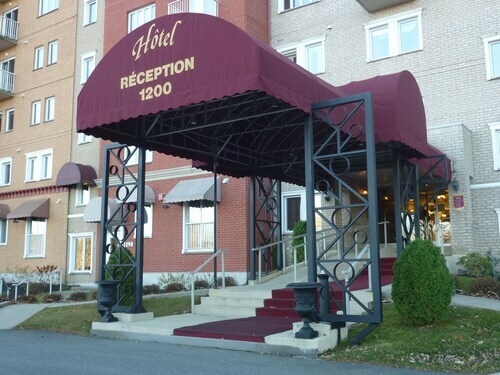 Offering direct access to the beach, this Magog hotel is in a shopping district and within a 10-minute walk of Escapades Memphrémagog and Memphremagog Lake Beach. Vieux Clocher and Magog Marine are also within 15 minutes. 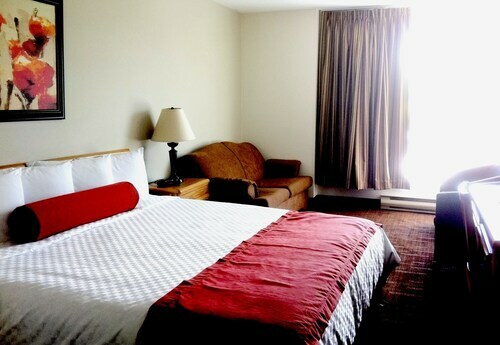 Located in the heart of Magog, this hotel is within a 5-minute walk of Magog Marine and Vieux Clocher. Memphremagog Lake Beach and Escapades Memphrémagog are also within 10 minutes. Located in the heart of Magog, this bed & breakfast is within a 5-minute walk of Vieux Clocher, Merry House, and Cherry River Marsh. Escapades Memphrémagog and Memphremagog Lake Beach are also within 10 minutes. 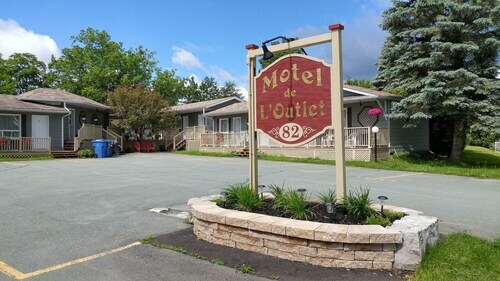 Located in the heart of Magog, this motel is within a 5-minute walk of Le Monde de TiKito Family Fun Center and Magog Marine. Merry House and Vieux Clocher are also within 10 minutes. 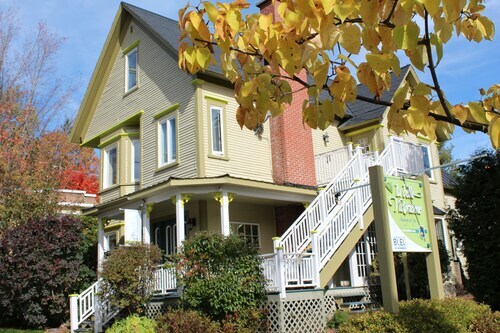 Situated in Magog, this bed & breakfast is within a 5-minute walk of Magog Marine and Merry House. Vieux Clocher and Le Monde de TiKito Family Fun Center are also within 10 minutes. Situated in the mountains, this spa hotel is 0.7 mi (1.2 km) from Club de Golf du Mont Orford and 1.5 mi (2.4 km) from Mont-Orford National Park. Au Vignoble d’Orford and Cherry River Marsh are also within 2 mi (3 km). This family-friendly Orford hotel is located on a lake, within 1 mi (2 km) of Club de Golf du Mont Orford and Mont-Orford National Park. Centre d’Arts Orford and Au Vignoble d’Orford are also within 2 mi (3 km). Situated in the historical district, this romantic inn is within a 10-minute walk of Escapades Memphrémagog and Memphremagog Lake Beach. Spa Nordic Station and Mont-Orford National Park are also within 6 mi (10 km).